By giving our staff access to such advanced technology we can assure our customers of a totally non-destructive leak survey of you property. This means that we can track the source of any leak to within a few centimetres of its actual source and we won’t need to dig or drill to do that. We work with such a high level of efficiency and professionalism that you’ll probably forget we’re even there and you still get to enjoy the great value for money offered by ADI. 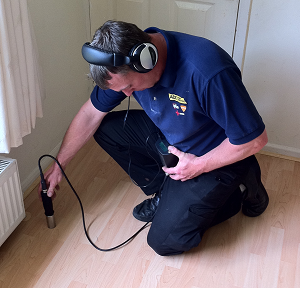 Regardless of where your home or business is in the UK ADI can visit you to property to find your leak. Why not give us a quick call now on 08007313843 so we can chat about how we can help you.